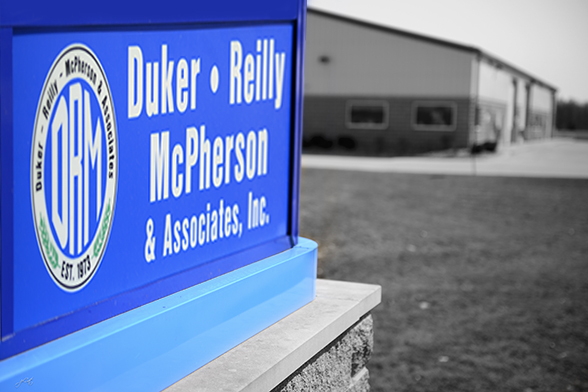 Since 1973 Duker-Reilly-McPherson & Associates, Inc. has been a trusted supplier of specialized H.V.A.C., electrical, environmental separation & hand drying products to the State of Michigan and surrounding areas. Duker-Reilly-McPherson & Assoc. will support your efforts with our technical and application expertise. We can show you how the products that we represent will bring value to your project. We offer design and installation assistance as well as training seminars on the job site, at your location or ours. has been with Duker-Reilly-McPherson and Associates , Inc. since October of 2000. As an outside salesperson, Sean primarily handles the Southeast Michigan territory. While in the office he wears many hats which include technical support, sales, problem solving, IT, marketing, and many others. Ray joined Bob Duker and Jack Reilly in 1986 after 12 years as Vice President of Sales with the O.L. Johnson Co. in Detroit , MI . After being promoted to V.P. of Sales he created the heating and air conditioning department at O.L. Johnson, selling many of the products that Duker-Reilly-McPherson & Assoc. Duker-Reilly-McPherson & Assoc. , Inc. is committed to being a professional and profitable partner to our wholesale distributors. Our sales staff is committed to supporting your efforts with any segment of your customer base. Whether working directly with your staff or not, our goal is to create a preference for the products that we represent. Our inside staff is dedicated to handling the daily technical and service issues quickly and efficiently. We take great pride on being educators and problem solvers. Duker-Reilly-McPherson & Assoc. , Inc. can support your efforts with our technical and application expertise. We can show you how the products that we represent will work on your project. We offer design and installation assistance as well as training seminars on the job site, at your location or ours. Duker-Reilly-McPherson & Assoc., Inc. does not sign up every manufacturer that crosses our path. We are very particular as to whom we take on and if we can meet their territory growth expectations. Most of our manufacturers have been referred to us via word of mouth from other satisfied manufacturers and distributors. By joining our team you will have instant access to the electrical and mechanical distribution channels in the Michigan and North West Ohio markets. You will also gain a combination of over 75 years of experience marketing electric heating, cooling and ventilation products. Duker-Reilly-McPherson & Assoc. , Inc. can support your efforts with our technical expertise and years of experience. We will demonstrate how the products that we represent will benefit your project. We offer design assistance as well as on site / off site training. Providing supplemental heating & cooling products since 1973.